A Spanish-style home offered by Shea Homes in one of its Chula Vista communities. 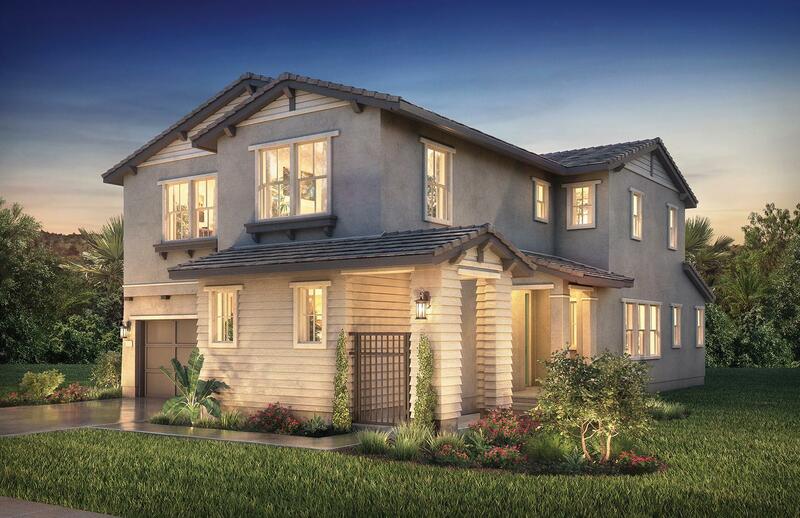 Shea Homes San Diego is opening new homes in four neighborhoods from Mission Valley to Chula Vista on Saturday. 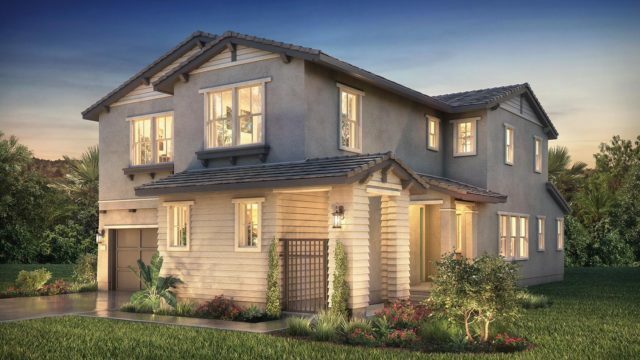 The home builder will open three new neighborhoods at The Village of Escaya in Chula Vista and one new neighborhood at Civita in Mission Valley. The homes in the Otay Ranch area of Chula Vista feature Spanish, farmhouse and ranch architectural styling in both traditional single-family and condominium designs. Prices range from the high $300,000s to high $500,000s for homes with 1,407 to 2,949 square feet and three to five bedrooms. In the Civita master-planned community in Mission Valley, Shea will open homes in the Lucent II community, which consists of seven five-story buildings with six to 12 residences in each. Homes range from 1,457 to 1,878 square feet with two or three bedrooms and are priced from the mid $700,000s.